Dr Steffan George, development director of The Master Locksmiths Association – the leading trade association for the locksmithing profession – provides advice for customers on how to review their home security for the longer and brighter days ahead. Firstly, check your house from the outside in. It’s advisable to tidy away and securely store items from the garden such as ladders, bins, gardening tools or other objects that could be used by intruders to gain entry to your property. If you have external storage such as sheds, outbuildings and garages, make sure they are secured with high quality padlocks, locks and hasp and staples. Look for 3rd party approval such as the Sold Secure quality on security products. Secondly, make sure the areas surrounding your property are well maintained. Consider trimming back any trees and obstructing bushes which could be used as ‘cover’ for burglars. Check the condition of your fences and gates, which can be prone to neglect, as any weak points can make it easier for would-be thieves to gain entry to your property. We are all guilty of leaving keys lying around in draws or on hooks. To minimise the number of keys you have and limit the chance of them going missing, it is worth having locks keyed alike, so the same key opens multiple doors and locks. This can also be applied to padlocks used on sheds and outbuildings. Ensure that all valuables such as laptops, jewellery and keepsakes are stored away out of sight, as leaving these items on show tempts potential burglars to break in. If you haven’t already, make sure you have an alarm professionally installed as this can be a powerful deterrent to would-be thieves. Make sure that you install a system which has a box that is visible on the outside of the property. It is also worth changing your alarm code if you haven’t done so recently. Consider fitting door chains, spy holes, top / bottom bolts and even CCTV as these can all boost security and as well as preventing break-ins they can increase your sense of security. Sensor lights or dusk-to-dawn lighting are additional deterrents and help you gain access to your home late at night. Opportunist thieves can often approach houses that look like nobody is at home, by installing a number of light timers around the house it appears that the house is occupied. Check that all your ground floor windows and any accessible windows above ground floor have window locks. It is important to check the quality and integrity of the locks on doors and windows as well as the structural condition of the doors and windows themselves. Locks are prone to rust while rotten and cracked frames can make doors and windows easier to break through. 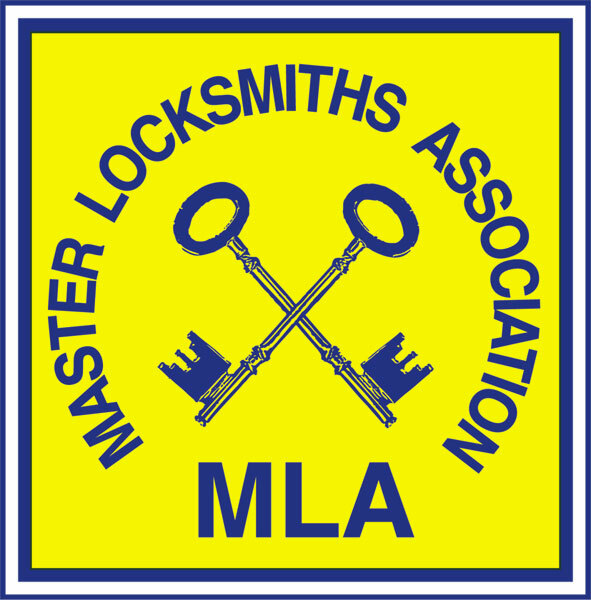 If you have any doubts a local qualified locksmith - such as a Master Locksmith Association member - will be able to advise on which locks will be the most suitable, and ensure that they’ll meet insurance requirements. It’s obvious advice, but do remember to lock all doors and windows before you leave, and set your alarm – a large number of burglaries take place because doors and windows have been left unlocked. Taking time to do this properly as you leave will significantly increase home security, as well as giving you peace of mind. A third party accredited, licensed locksmith, such as an MLA member, will be able to assist in reviewing a property’s security and install effective security measures, helping to save money in the long term. To find an MLA licensed locksmith in your area visit the user-friendly MLA website www.locksmiths.co.uk. To review a list of independently tested and approved security products visit the Sold Secure website at: www.soldsecure.com.